At Crown Oil, we aim to focus on the quality of service and competitive prices. As red diesel suppliers in Bristol, we can deliver your fuel within hours in case of an emergency. 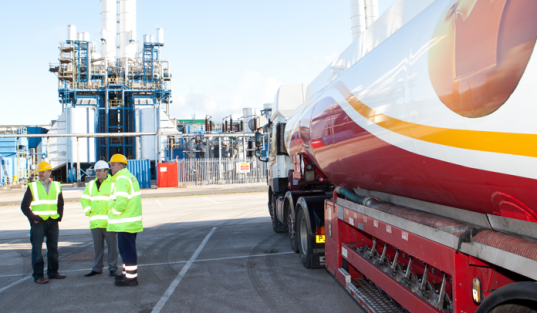 With over 70 years of experience in the fuel oil industry, we understand our customers and always aim to make fuel ordering as easy as possible. Our free fuel management service is available to all of our customers, meaning we monitor your fuel usage and top-up your tank to make sure you never run out of fuel. This service allows you to have total control over your fuel consumption. To order red diesel, or for more information call 0845 313 0845 today. The winter weather in Bristol can be quite chilling, so residents of this city make ready to fend off the cold by topping off their red diesel fuel storage tanks early. It is always a wise choice to do this before the first signs that winter is on its way because you just never know when that first cold snap is going to occur. Diesel suppliers find that they are busy all year long with supplying farmers with red diesel for their machinery, but they always know when the citizens are concerned about their comfort during winter. Red diesel suppliers find that they start making more runs to homes as fall begins to cast its shadow on the area. Diesel suppliers provide fuel for more than just homes and businesses for heating purposes. In order to comply with regulations for taxing purposes red dye is added to home heating fuel to help prevent abuse. Bristol is like other cities in UK when it comes to making preparations for inclement weather. The city does its part, but individual residents are required to provide their own heating fuel. Red diesel fuel is the choice in many cases for keeping the home fires burning and providing comfort for those chilly days of winter. Bristol is proud of its record for taking care of its citizens and helping them stay safe on the city streets, but home heating fuel is the responsibility of the homeowner. Most residents of Bristol already use diesel suppliers to bring red diesel to their homes, but it is always a good idea to keep up with what the competitors have to offer as well. Red diesel is just fuel, but there may be differences in cost between suppliers so be sure to check that out.